If you want to entice customers to opt-in to receive special offers, promotions, and store information, then you need to get creative and diligent about getting your SMS mobile marketing while they’re in store! 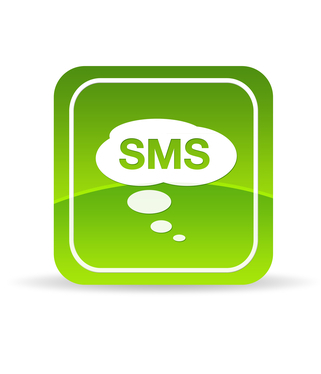 That means advertising your SMS marketing campaigns anywhere it seems most appropriate and engaging. In-store displays, product tags, coupons, receipts, and even floor mats are just a few ideas for placement. To hone in on proven tactics, it would be prudent to take a look at what other brands are doing and how they’re becoming successful in building their SMS text advertising lists. ACE Hardware, for example, has created well-designed and well-placed signs throughout their stores to grow their SMS marketing lists…and it’s working! But just as important as the design and placement of advertisements is the incentive provided for customers to opt-in. Brands must make it worth a consumer’s while to give up their personal information. Customers want to know that they will be engaged with appropriately, respectfully, and be given exclusive opportunities to earn rewards and save money via creative SMS marketing campaigns. 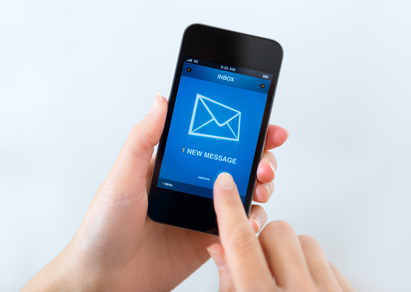 A study released by Pew Internet found that America’s most popular activity on a mobile device is still text messaging. The same study reports that over 90% of American adults currently own a mobile device, making this an opportune time to implement a non-invasive SMS marketing strategy. SMS marketing is not only a highly effective mobile marketing strategy on its own, it can also be an effective “gateway” to encouraging participation in a brand’s additional marketing channels and activities. As brands start to discover the opportunities afforded by SMS mobile marketing campaigns, they’ll find that text messaging provides a pathway to a wide array of additional marketing channels, including MMS, gathering email addresses, and location-based touch points. Even voice broadcasts and the integration of hyperlinks within SMS messages to drive users to a mobile website — all of these strategies compel users to interact with the brand and engage through various channels. According to Tatango, the number of people who join SMS lists in order to receive incentives but remain on the list after they've bagged the goods may be as high as 98%. This statistic alone should make you cast aside any lingering doubts you may have about incentivizing your SMS marketing to grow moblie marketing lists. In an age of free content, consumers have come to expect a few tidbits in advance of parting with their hard-earned, but it requires a certain level of trust on the part of commerce and, yes, an acceptance that not every individual will end up as a loyal customer. Thanks to the inexorable rise of mobile device ownership, marketing execs are increasingly turning their attention – and budgets - to smartphone-friendly campaigns since mobile marketing is projected to increase ROI. A quick glance at the numbers and it’s starkly obvious which way the tide is turning. Last year, mobile marketing budgets were worth a combined total of $6.7 billion. In 2015, retailers and marketers are expected to spend $19.8 billion on mobile marketing. The ROI for these rapidly-expanding budgets is similarly impressive. 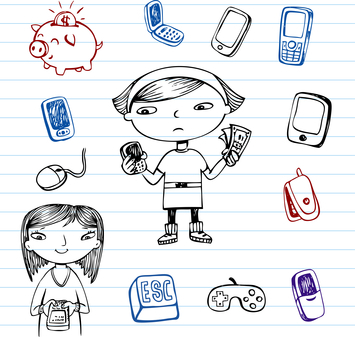 By 2015, when 81% of the US population will own a smartphone, analysts expect mobile revenues to be worth $400 billion. Right now, three out of every four smartphone owners use their mobile device for shopping. Considering the transparent benefits of adopting mobile marketing strategies, it’s surprising how many businesses have yet to catch on. There is a resistance – especially amongst older, more established brands whose main point-of-sale is offline – against following the current mobile marketing trends. Some are overwhelmed by the possibilities, and prefer to stick to what they know. Others are dyed-in-the-wool luddites who refuse to engage. Generation Y, also referred to as the Millennials, comprises the largest demographic in the United States, according to USA Today. Ranging in age from early teens to early 30’s, Millennials make up almost 90 million Americans, and to marketers this market is crucial to keep in mind mobile marketing tactics for millennials when developing brand awareness. They must consider the ease and speed of information to which these young consumers are accustomed, the plethora of brands that are competing for their attention, and of course young people’s increasing inclination and ability to avoid traditional advertising ploys. So, how best can advertisers communicate with this tech-savvy market? An emerging understanding, illuminated by Inc Magazine, is that Millennials are not as driven by money as their predecessors were but rather by purpose and mission. Hence, young people must believe in and trust the brands they engage with, and they must feel a sense of significance in such engagement. This is affecting consumer trends and marketing tactics, as traditional mediums just aren’t working the way they did for Baby-Boomers and Gen X’ers. The mobile economy is booming! More than half the world now owns a mobile device, and over 90% of Americans are using mobile technology. That means there’s a wealth of mobile advertising and consumer engagement opportunities for marketers. However, many brands are not yet utilizing or perhaps even comprehending the array of mobile marketing tactics available and how to cross-pollinate their mobile marketing strategies across multiple channels or multiple engagement points. This gap was the focus at Learn with Google at SES San Francisco this year—a full-day conference wherein participants could interact with the innovative leaders at Google about new technology and mobile marketing trends. Across four sessions throughout the day, Google representatives covered various mobile advertising topics, giving advice and insight around a number of useful tips, including the utilization of mobile apps, SEM for mobile and maximizing AdWords profit, and optimizing mobile displays. Mobile marketing strategies used for commercial purposes can be equally effective in the non-profit and charity sector. Natural disasters and other emergency situations call for precisely the sort of instant response facilitated by texting, which is why charities and aid organizations all over the world are leveraging the power of SMS to generate awareness as well as monetary donations. Understanding the browsing habits of smartphone users will help you gain invaluable insight into your customers - and potential customers - wants and needs. By keeping a close eye on browsing habits and preferences, you'll also be able to predict future behavior. According to a recent article published on marketingcharts.com, smartphone ownership now accounts for more than 60% of the US mobile subscriber market. This means that the majority of the mobile marketplace consists of people with round-the-clock access to the internet, something which is of great interest to mobile marketing strategists. Mobile advertising experts are able to look at where smartphone users are spending their web time, and target their campaigns accordingly. Unsurprisingly, the most commonly-used sites are Google-owned or affiliates. The search behemoth's reach extends to 92.2% among iPhone and Android users over the age of 18, in the United States. After the search engine itself – which takes a 53.9% share - the most popular sites are YouTube (52.8%), Google Maps (46.1%) and Gmail (44.3%). Yahoo sites have an 83.2% market reach. Amazon, AOL and Wikipedia are the other big names dominating smartphone browsers. If you run a small business, mobile technology is one of the most important tools at your disposal. Even if you feel clueless about what it can offer, a few easy mobile marketing tips for SMBs are all you need to get started. 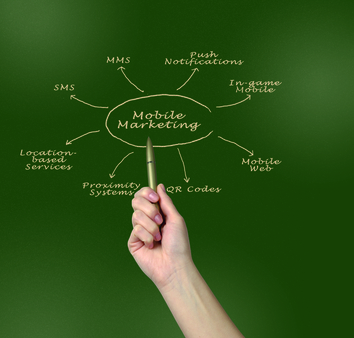 Mobile marketing campaigns and small businesses are a match made in heaven. Historically, start-ups and local firms had no way to compete with the marketing clout of big companies. The rise of smartphones has changed all that, with the majority of commercial web searches relating to nearby businesses like restaurants, gas stations or coffee shops. You only have to take a glance at Google's autocomplete function for any type of retailer to see that the phrase 'near me' is the most common suffix.